Karen Mason has starred on Broadway, Off-Broadway, television, and recording: and “has few peers when it comes to ripping the roof off with her amazing voice that knows no bounds!” (TheatreScene.net) Karen is a 13-time MAC Award winner, has won the MAC Award for Major Female Vocalist of the Year for six consecutive years, and recently was the recipient of the 2019 MAC Lifetime Achievement Award. Her highly acclaimed recordings include her newest single, “It’s About Time.” She has also won the 2006 Nightlife Award for Major Female Vocalist and has three Bistro Awards. Ms. Mason was recently seen as “Madame Giry” in the North American Premier of LOVE NEVER DIES — Andrew Lloyd Webber’s epic sequel to The Phantom of the Opera. 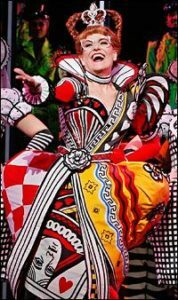 Previously on Broadway, Karen garnered rave reviews starring as “The Queen of Hearts” in WONDERLAND, and she originated the role of “Tanya” in Abba’s MAMMA MIA! 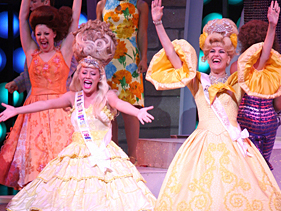 For her portrayal of “Tanya,” Ms. Mason was awarded a 2002 Drama Desk nomination as Best Actress. 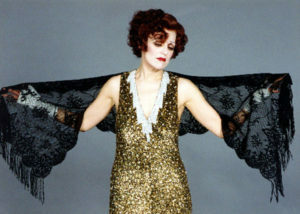 Her other leading roles include Norma Desmond in SUNSET BOULEVARD, which she performed to critical acclaim and standing ovations on Broadway and in Los Angeles for three years; Velma von Tussel in the final Broadway company of HAIRSPRAY; “Monotony” singer, Mazeppa in JEROME ROBBINS’ BROADWAY; Rosalie in CARNIVAL (another Drama Desk nomination); plus featured roles in Broadway’s TORCH SONG TRILOGY; and PLAY ME A COUNTRY SONG. 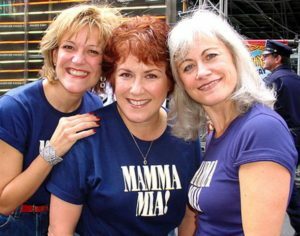 Karen won the Outer Critics Circle Award for her performance in AND THE WORLD GOES ‘ROUND, and starred Off-Broadway in her own show KAREN MASON SINGS BROADWAY, BEATLES AND BRIAN. In regional theater, Karen starred in the first National Tour of A CHRISTMAS STORY as Miss Shields, in the world premiere of the stage production of WHITE CHRISTMAS, (playing the Rosemary Clooney role at St. Louis Muni Opera), SIDE BY SIDE BY SONDHEIM (Coconut Grove Playhouse in Florida), GYPSY (Sundance Theatre in California), the world premiere of ONE TOUGH COOKIE (Apple Tree Theatre in Chicago), HEARTBEATS (Goodspeed Opera House in NY) and COMPANY (Huntington Theatre in Boston). Most recently in New York, Karen starred in the one-woman musical about Dorothy Parker YOU MIGHT AS WELL LIVE. 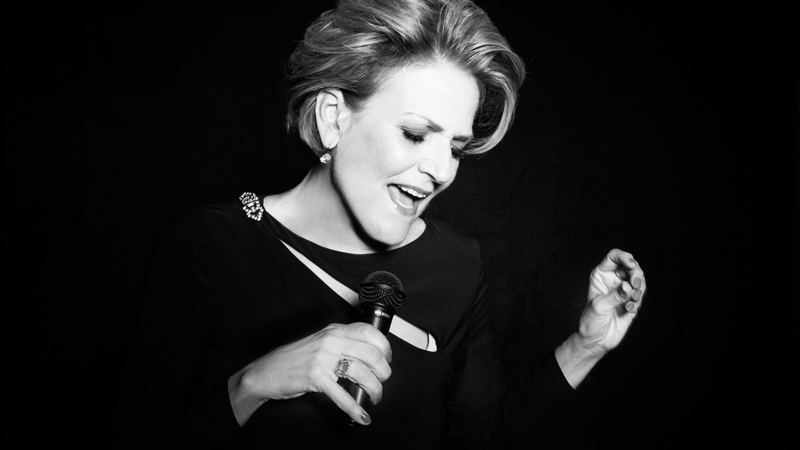 Karen has headlined Carnegie Hall, The Kennedy Center, Lincoln Center, Feinstein’s at The Regency, Rainbow & Stars, the Algonquin, Arci’ Place, The Supper Club and The Ballroom in NYC; The Cinegrill and the UCLA/ASCAP Concert Series in Los Angeles; The Plush Room in San Francisco; and Davenport’s in Chicago. 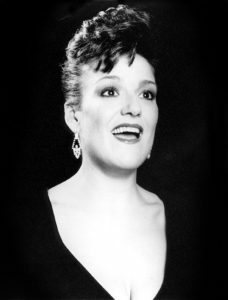 She has shared concert stages with Michael Feinstein, Jerry Herman, Chita Rivera, Luciano Pavarotti, Rosemary Clooney, Liza Minnelli, and John Kander & Fred Ebb, among others. Karen has given concerts in the United Kingdom, Sweden, Brazil, Scotland, Tokyo and Osaka. Her starring symphonic performances include The Long Beach Symphony Orchestra with Maestro Michael Berkowitz, The Philly Pops with Peter Nero, The New York Pops with Skitch Henderson, The Oklahoma Philharmonic with Joel Levine, the premier performance of The Chicagoland Pops, The Indianapolis Philharmonic, and the St. Louis Symphony with John McDaniel. Her highly acclaimed recordings include her newest single, IT’S ABOUT TIME, written by Paul Rolnick and Shelly Markham; her 2009 MAC AWARD-winning Right Here/ Right Now, 2005’s The Sweetest of Nights, the MAC Award-winning When The Sun Comes Out, as well as three other CD’s: Christmas! Christmas! Christmas!, recorded live at the West Bank Café;Better Days, featuring songs by her longtime composer/arranger, Brian Lasser (including the 1998 Emmy Award-winning song “Hold Me“); and Not So Simply Broadway. Karen has been featured on the soundtrack of the original cast CD of Wonderland; Jeffrey (Varese Sarabande), the studio cast recording of Wonderful Town (JAY Records), the original cast album of And The World Goes Round (RCA Victor), The Child In Me, Vol. 1 (Harbinger Records), and Lost in Boston ll (Varese Sarabande). Her television appearances include the hit dramas ED and LAW & ORDER: SVU. Film credits include SLEEPING DOGS LIE and A CHORUS LINE.